Randy and I came to the keto diet looking at it from a Christian perspective, it’s the filter we choose to see from. When we decided to combine our Christian faith and the keto diet, we did so in hopes of finding lasting transformation. Randy had been a diabetic for over 15 years and he was dealing with the consequences of this disease. I was a survivor of the Guillan Barre Syndrome and was fighting fibromyalgia and chronic sciatica. Suffice it to say we were both in need of a miracle. When we began to apply the tenements of our Christian faith with the keto diet, the benefits surpassed anything we had hoped for. Not only did our health transform but our walk with Christ also grew. You can read more about our health transformation on our about page. You should know that by the time Randy and I came to the ketogenic lifestyle we had exhausted all other avenues. In fact, we had spent thousands of dollars on every known form of medical care and amassed a great deal of debt in the process. Going from one medical specialist to another seemed like a regular part of our lives. Looking back, it felt like our lives revolved around our doctor appointments and there was little room for much else. Besides, the countless doctor visits, we did everything in our power to get on as many prayer lists as possible. If there was someone praying we wanted to be included on their short list. Then in a bold step, we decided to combine our Christian faith and the keto diet in January of 2014. It was a decision that God had clearly pointed me to during a time of extended fasting and prayer. At the time God simply told me to cut out the sugar and grains. It was later on that I realized I was being directed to a ketogenic diet. In 2014 we began the year doing the keto diet as part of our church corporate fast. That decision turned into a fasted lifestyle for us. God never released us from that fast and it’s why it’s become what we lovingly call our “Jesus and Keto” or “Christian Keto“, or even our “Jesus Keto” lifestyle. Today, we frequently get messages from people who like us felt prompted by the Holy Spirit to combine their Christian faith with the keto diet. It’s so encouraging to see how the body of Christ is using it as a path to transformation. Prior to coming to the keto lifestyle, we were having little to no success. We were on this aimless path of always trying something new. We finally learned that there were no short-cuts to achieving the real health we desired. It was no longer about doing a gimmicky diet. Instead, we realized we needed a complete lifestyle change. Why? Simply put, the path we were on was always after a quick fix. But once we chose to make a ketogenic diet a lifestyle, we found ourselves on course for transformation. Every measure we took to eliminate sugar, bad carbs etc. from our diet was laced in prayer. We didn’t just toss a bunch of food and decide to try something new. This time was different, this time we genuinely included God in the process. What’s more, we decided to do this as a couple. We made a commitment to keep each other accountable. We were certain that God had led us down the best path for us. With each passing day, our commitment grew and our bodies responded favorably to this new-found lifestyle. In addition, our relationship even grew stronger. What we quickly learned when we first combined our Christian faith and the keto diet was how much it reminded us of how we felt when we would fast. We were experiencing the spiritual benefits along with the physical. Not only were we able to consistently say no to the junk food we ate on a regular basis but we noticed that our faith and trust in God had also grown. It was something that really intrigued us because we didn’t fully understand what was happening. Could combining our Christian faith with a keto diet have more than just physical benefits? We discovered that indeed there was more to this ketosis-inducing diet. In fact, there was a bit of science behind what we were experiencing. For one, when you are in ketosis your senses are heightened, and you’re able to focus better. So it made sense that this also gave us the ability to hear from God more clearly as Christians. 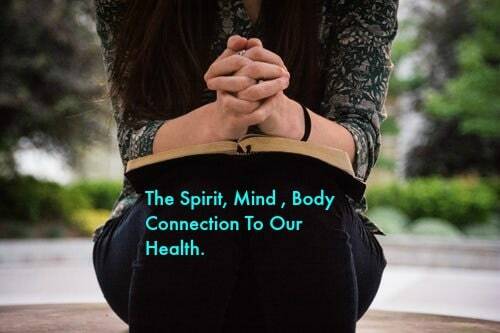 Our bodies are quite complex and we believe that there is a spirit, mind and body connection that affect all three areas. When a person does any form of fasting, guess what rises? That’s right our ketones. Do you think this rise in ketones when fasting is a coincidence? I for one don’t believe this to be the case. To me, it simply points to our creator’s perfect craftsmanship. Being in a state of ketosis allowed us to be less distracted. When the brain fog from all the junk we used to eat finally lifted we were able to deal with the root problem that was affecting our health. 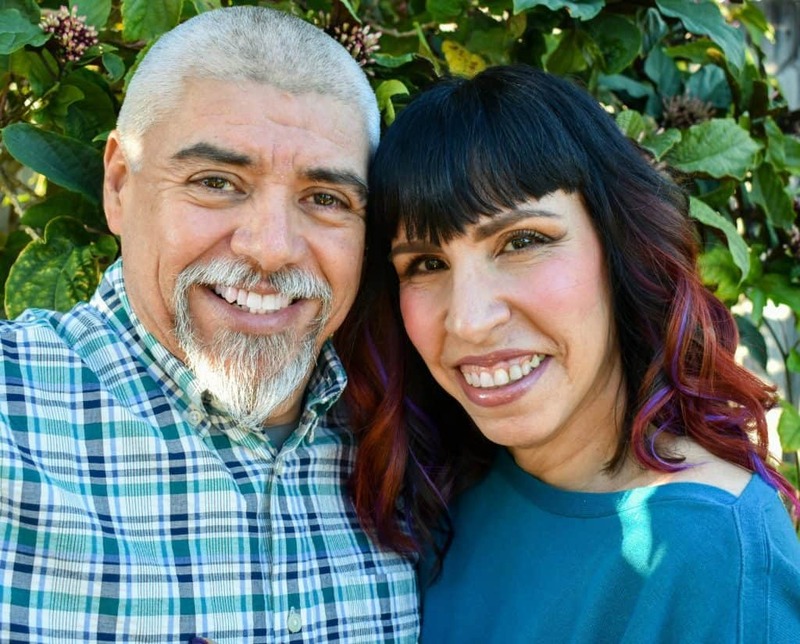 We began to address years of food addiction effectively by combining our faith with that of a keto lifestyle. Is it any wonder that God would lead us to the discipline of prayer and fasting to see a real transformation? I don’t think so. I believe that combining our Christian faith and the keto diet was the key to our deliverance because being in a state of ketosis allowed us to make better choices consistently. The Ketogenic diet mimics the benefits of fasting In fact, in some circles, keto is referred to as Fast Mimicking Diet. 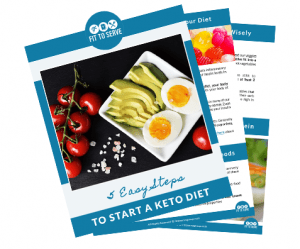 The major difference between food fasting and that of a keto diet is that on a ketogenic diet you don’t abstain from food entirely but rather you reduce your carbohydrates to levels that force your body to produce ketones for energy. Being in ketosis means your body is burning fat for fuel rather than glucose (sugar). Could any diet that focuses on clean eating work? Sure to a certain extent. You can have similar side effects by doing a very low-calorie diet. But to enter ketosis your carbs must be low. 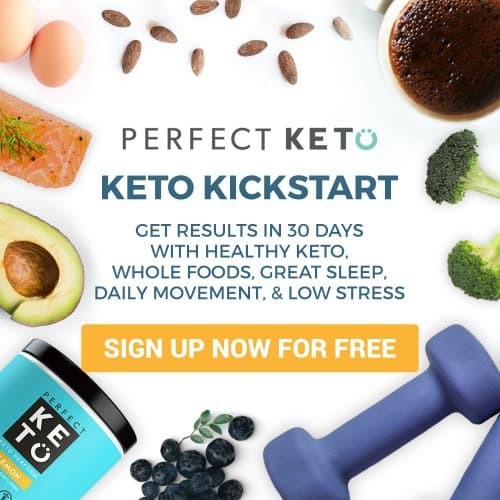 However, what we have found and others too, is that because a keto diet is very satiating it makes staying compliant so much easier. Plus it’s a very healing and muscle sparing diet. A recent study took a look at type 2 diabetics who undertook either a 3-day fast or a zero carbohydrate diet for the same length of time. (1) The study was done to try to elucidate the mechanism of the beneficial effects of a low-calorie diet on blood glucose in diabetics, which could be due to a) weight loss; b) low-calorie intake; or c) lower carbohydrate intake. The more we understood being in ketosis the more we saw it as God’s tool to help us heal. For the first time, we were truly able to crucify our flesh and address a lifetime of food addiction. Finally, Randy and I found the answer we were looking for. Randy’s keto transformation has been nothing short of a miracle. He was able to lose over 80 pounds and no longer suffers from type 2 diabetes, hypertension, and fatty liver disease. Today, the mirage of symptoms I dealt with are mainly in the past. With each passing day, I see how my body is transforming. That one-act of obedience started us on a journey to becoming whole in spirit, mind, and body. Where we would aim not to neglect any of these three areas. Gone would be the days where we would only focus on one aspect to the detriment of the others. What the Lord did with our decision took us by surprise. But why should it surprise us that our words need to match our actions? Although we both were faithful in declaring the word of God over our lives and trusting in the power of Jesus’s to heal, our faith was without works. If a person chooses to follow Christ, yet never takes the steps to live free from the stronghold of sin, wouldn’t we know it’s not God’s best? Shouldn’t it be a natural flow from our hearts to want to obey God? Somehow though we fall into the trap of thinking there is an exception when it comes to our diet. As if God cares about our choices, but doesn’t mind how we feed our bodies. 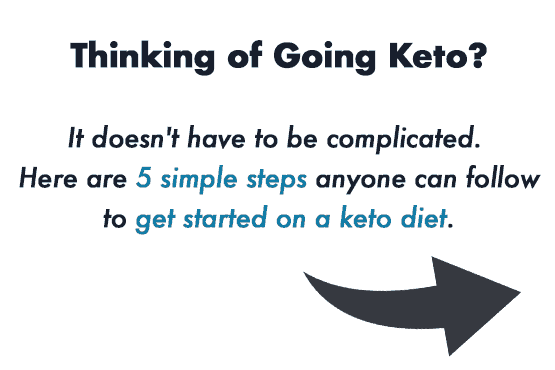 Thankfully, being in a state of ketosis as a Christian has made it possible to stay the course to healthy eating consistently. And we can say our walk now matches our talk. I’ve had people tell me, “Hilda this is why I pray for my food so that God can clean it up,” They say it with a chuckle and a wink, to somehow make what they just blurted out ok.
Can I tell you it’s not ok? In fact, it’s NEVER ok. I know because I tried that rational and it didn’t work. It was Jesus who told satan “It is also written: “Do not put the Lord your God to the test.” We must be willing to ask ourselves how often are we testing God with our actions. How far do we stretch the envelope to see what we can get away with? Do we really think that our poor diet choices will not catch up with us eventually? For years Randy and I walked around feeling we were some exception to the rule. Because we refused to take responsibility when it came to our dietary habits. It was always tomorrow I will change, but tomorrow would come and we didn’t budge from our position. Because I genuinely want you to see real transformation too, I implore you to realize that there are no exceptions. There was no exception for us and there will be no exception for you. Sooner or later we all have to give account for our actions. You see faith without works will always, always be dead. This is the case in any area of our lives and that includes our dietary choices. We can’t expect God to be our genie in a bottle. Our confession must mirror our actions. Facing this brutal fact was the first step to real transformation for us. If you are desiring similar results, then I encourage you to stop pretending that you can get away with your poor lifestyle choices and begin to take the necessary steps for change. 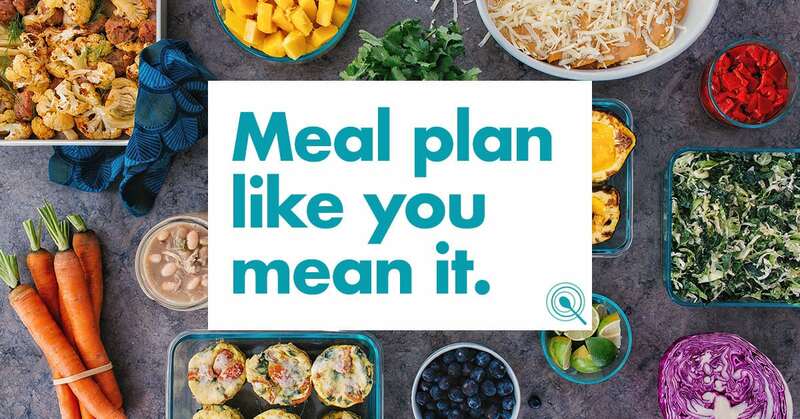 It wasn’t until we began to combine the promises of God’s word about healing and change our diet to a low carb keto one, that we finally began to see our health turn around. Could God have miraculously just stepped in and healed us? Sure, and trust me I have seen him do this many a time. However, sometimes we are healed as we go. In other words, it’s not an instant but gradual healing. I believe this has been our case. As we gave our bodies the nutrition it needed, our bodies did what God designed it to do, to heal itself. This is what we believe it means to live in divine health. The bottom line is that Randy and I had some growing up to do in this area. And because God was more interested in our character than our comfort he had us on the long road. What we’ve learned is that when something has the potential to change not just our lives but that of others, he usually includes us in the process. He invites us to crucify our flesh and build our character for the blessing of many. You see what resulted in an act of obedience on our part birthed the ministry of Fittoserve Group. Today, we are seeing thousands of lives impacted and it’s humbling to see. The ripple effect of our decision to combine our Christian faith with the keto diet is making a difference in ways we may never know this side of eternity. We make no apologies for our Christian faith because it takes center stage in our lives. Without Christ Randy and I would not be who were are today. Without a doubt, we can’t separate our faith from what we do or who we are. People are choosing to come to us not only for our keto recipes, and lifestyle tips, but to put their faith in Christ as their eternal hope, all because of our decision to be obedient and bold with our faith. If you are wanting to combine your faith with the keto diet and would love some assistance, feel free to reach out to us. It would be our honor to support you. Hilda Solares is an amazing Godly women am a witness of her strong faith to our Lord. She was our leader and we all saw her body deteriorating many hospital visits and most of All Praying to our Lord for this miracle in her life. We are more than happy and grateful to our Lord for his mercy Love and for caring and healing most of all for our salvation thru Christ our Lord. Thank you Solares for all your hard and delegent work you have done to inspire me and many to take care of our bodies and mind to be fit to serve our Lord. My beautiful friend and sister Maggie, your comment so blessed me. You were certainly in the trenches with me Darling. Forever grateful for the season at FBS. Our testimony points to the fact that what the enemy meant for evil God can use for his glory when we trust him. Love ya sis. May the Lord Bless you and your beautiful family always. This is such an unexpected glorious aha moment of confirmation and answered prayer from Lord Jesus that I join this group now. Im about 2 months in to consistently fasting and keto. I feel so much better already spirit soul and body. Massive chronic pain syndrome, overweight food addictions chronic fatigue etc. I praise God for finding you and im fully persuaded and ready to be fit to serve again!